23 Commercial Real Estate & Properties in Ashmore are listed in 2 categories. We have 21 OfficesLease and 3 Industrial Warehouses Lease . Value For Money - Landlord Will Do A Deal! $280 psm + GST (Including..
Offices ranging from 100 500m² Gross rents $280 psm + GST Landlord will give incentives! Some tenancies newly refurbished Disabled lift access Parking easy access to the M1 Motorway Contact Teresa to discuss your property requirement! Approximately Disclaimer: Ray White has not independently checked any of the information we merely pass on. We make no comment on and give no warranty as to the accuracy of the information contained in this document which does not constitute all or any part of any offer or contract by the recipient. Prospective purchasers / lessees must rely on their own enquiries and should satisfy themselves as to the truth or accuracy of all information given by their own inspections, searches, inquiries, advices or as is otherwise necessary. No duty of care is assumed by Orchid Avenue Realty trading as Ray White Surfers Paradise Commercial divisions toward the recipient with regard to the use of this information and all information given is given without responsibility. 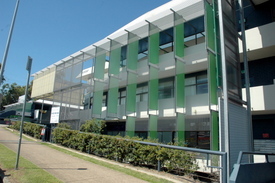 131m2 office space available Competitive rental at $280/sqm gross + GST Excellent staff amenities on site Secure parking with direct building access Located just minutes from the highway, Bundall and Southport Call Renee to arrange an inspection today Approx Disclaimer: Ray White has not independently checked any of the information we merely pass on. We make no comment on and give no warranty as to the accuracy of the information contained in this document which does not constitute all or any part of any offer or contract by the recipient. Prospective purchasers / lessees must rely on their own enquiries and should satisfy themselves as to the truth or accuracy of all information given by their own inspections, searches, inquiries, advices or as is otherwise necessary. No duty of care is assumed by Orchid Avenue Realty trading as Ray White Surfers Paradise Commercial divisions toward the recipient with regard to the use of this information and all information given is given without responsibility. Ashmore office space available Various sizes ranging from 118m2 1,600m2 Rents from $280/sqm gross + GST Excellent staff amenities on site Secure parking with direct building access Located just minutes from the highway, Bundall and Southport Great rents and great deals to be had Available now, enquire today approx Disclaimer: Ray White has not independently checked any of the information we merely pass on. We make no comment on and give no warranty as to the accuracy of the information contained in this document which does not constitute all or any part of any offer or contract by the recipient. Prospective purchasers / lessees must rely on their own enquiries and should satisfy themselves as to the truth or accuracy of all information given by their own inspections, searches, inquiries, advices or as is otherwise necessary. No duty of care is assumed by Orchid Avenue Realty trading as Ray White Surfers Paradise Commercial divisions toward the recipient with regard to the use of this information and all information given is given without responsibility. 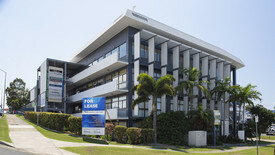 High Quality Office Space Strategically Located - Huge Price Reduction, Enquire Today $200/m2 + GST Inclduing a..
Brandon Johnson presents this high quality office space strategically located geographically in the centre of the Gold Coast. With less then a 10 minute drive to the Southport CBD or M1 Motorway. 285m2 high quality office space Front office with exposure Multiple private offices, meeting rooms, reception and boardroom Kitchen Male and Female amenities Air conditioned Direct Fibre Optic to exchange 50/50 high speed internet connection, 2nd port available making total possible of 100/100mps connection Quiet Cul de sac Plenty of parking and free street parking Inspect 7 Days! The owner is highly motivated, and urges all offer to be presented! Approximately Disclaimer: Ray White has not independently checked any of the information we merely pass on. We make no comment on and give no warranty as to the accuracy of the information contained in this document which does not constitute all or any part of any offer or contract by the recipient. Prospective purchasers / lessees must rely on their own enquiries and should satisfy themselves as to the truth or accuracy of all information given by their own inspections, searches, inquiries, advices or as is otherwise necessary. No duty of care is assumed by Orchid Avenue Realty trading as Ray White Surfers Paradise Commercial divisions toward the recipient with regard to the use of this information and all information given is given without responsibility. Cctv Monitoring And Surveillance. $270m2 + GST including ou..
2 professional commercial spaces available Unit 10 86m2 ground floor Unit 11 97m2 ground floor Brand new LED lighting and ducted air conditioning through out the tenancy's Acoustic insulation between tenancy's and insulated roof Loads of power points in both tenancy's High signage exposure to united road through both signboard and directory board Opposite Ashmore City Shopping Centre, close to Southport CBD, Nerang M1 Front and rear entrances with loads of natural light Contact James Young to arrange an inspection. Approx Disclaimer: Ray White has not independently checked any of the information we merely pass on. We make no comment on and give no warranty as to the accuracy of the information contained in this document which does not constitute all or any part of any offer or contract by the recipient. Prospective purchasers / lessees must rely on their own enquiries and should satisfy themselves as to the truth or accuracy of all information given by their own inspections, searches, inquiries, advices or as is otherwise necessary. No duty of care is assumed by Orchid Avenue Realty trading as Ray White Surfers Paradise Commercial divisions toward the recipient with regard to the use of this information and all information given is given without responsibility. 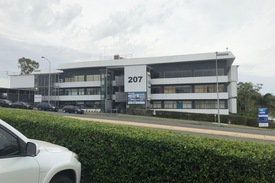 Total of 1300m2 on Level 3 available Can be split to smaller spaces ranging from 144m2 to 351m2 Full fit out and office space Central Ashmore location Located just minutes from the Highway, Bundall and Southport Great rents and great deals to be had Available now, enquire with Renee today Approx Disclaimer: Ray White has not independently checked any of the information we merely pass on. We make no comment on and give no warranty as to the accuracy of the information contained in this document which does not constitute all or any part of any offer or contract by the recipient. Prospective purchasers / lessees must rely on their own enquiries and should satisfy themselves as to the truth or accuracy of all information given by their own inspections, searches, inquiries, advices or as is otherwise necessary. No duty of care is assumed by Orchid Avenue Realty trading as Ray White Surfers Paradise Commercial divisions toward the recipient with regard to the use of this information and all information given is given without responsibility. Professional Offices In Ashmore Centre Contact Agent for Inspect..
Suite 5 175m2 existing fit out Suite 8 LEASED Suite 9 LEASED Suite 15 LEASED Open Plan offices or with fit outs Easy access to M1 Motorway, Olsen Avenue, Currumburra Road and Southport Nerang Road Next door to Ashmore Shopping Centre Minutes to Southport CBD Surfers Paradise After hours Security door checks. The building is currently filled by Domino's Pizza, Hartnell Realty, 5th Avenue Dance Studio, Accountant, Solicitor, Hair and beauty salon. Approx Disclaimer: Ray White has not independently checked any of the information we merely pass on. We make no comment on and give no warranty as to the accuracy of the information contained in this document which does not constitute all or any part of any offer or contract by the recipient. Prospective purchasers / lessees must rely on their own enquiries and should satisfy themselves as to the truth or accuracy of all information given by their own inspections, searches, inquiries, advices or as is otherwise necessary. No duty of care is assumed by Orchid Avenue Realty trading as Ray White Surfers Paradise Commercial divisions toward the recipient with regard to the use of this information and all information given is given without responsibility. 1,600m2 whole level Tenant can design their own area and fit out 31 allocated under cover car parks Air conditioned Easy access Fully carpeted Close to all amenities Fully fitted out Call today to discuss ideas! 106m2 Fully fitted out Easy access Fully carpeted Air conditioned Close to all amenities Allocated under cover car parks Call today to inspect!!! 118m2 Fully fitted out 3 allocated under cover car parks Close to all amenities Easy access Fully carpeted Air conditioned Call today to inspect!! !